One of the top things people want to do when visiting Japan is to stay in a traditional Japanese ryokan. But finding and booking the right one can be overwhelming when you don’t even know what to look for or expect (here is my favorite onsen near Tokyo). 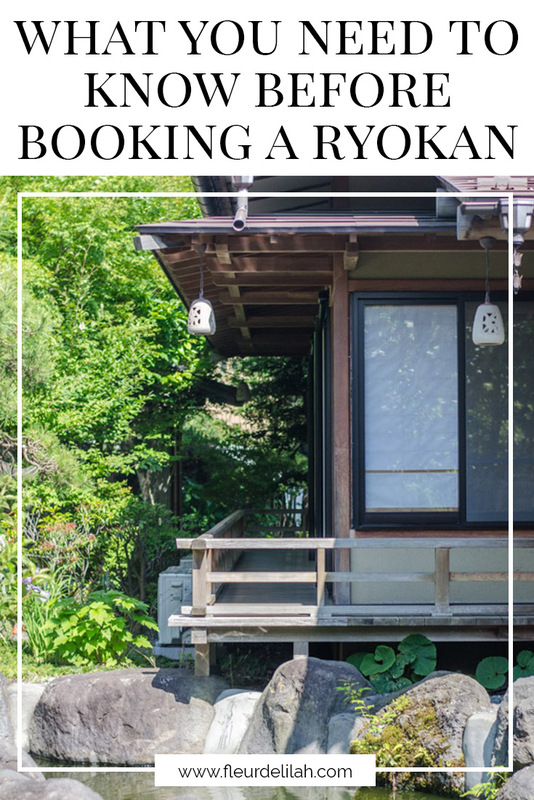 So, here is everything you need to know before booking a ryokan. A ryokan (旅館) is a traditional Japanese inn that is typically small and family-owned. Most ryokan are found outside of cities. Ryokan are more typically seen as a place to rewind and relax — something hard to do in crowded and busy cities. But you can find some in places like Kyoto or Tokyo. Even though ryokan technically refers to any traditional accommodation, most people use it to talk about traditional inns with hot springs. Many of the best ryokan are found in onsen (hot spring) towns. Onsen towns are all over Japan — you can take a dip in the secluded springs of Fukushima or soothe sore muscles at the UNESCO World Heritage hot springs of Wakayama. Ryokan offer the best in Japanese hospitality and food while providing an authentic way to experience Japanese culture. Usually, ryokan are designed and constructed using traditional Japanese methods. The walls are often thin to allow better airflow in the summer. Note that, because of this, the rooms feel colder in the winter. Ryokan design features tatami mat flooring and sliding doors. Standard ryokan have shared toilets in the hallway, but high-end accommodations like these gorgeous ryokan in Takayama have toilets and sometimes even baths in the room. Smaller rooms have only one main area, while larger rooms might have a living area separate from the sleeping area. Traditionally, guests sleep on Japanese style floor bedding called futon that the staff take out and prepare after dinner. But recently, increasingly more ryokan have a select number of rooms that feature Western-style beds for those who cannot or do not want to sleep on the floor. One of the biggest differences between a ryokan and a hotel is the food. While food is usually an additional cost at a hotel, breakfast and usually dinner are included in the cost when staying at a ryokan. Traditionally the food is Japanese kaiseki cuisine, but some ryokan offer a Continental style breakfast. You can expect dishes like fish, grilled meat, Japanese hot pot, miso soup, and more! Many times, these ingredients are in-season and are locally sourced from the region. Also, be prepared for a culinary adventure with notorious dishes like natto (納豆), or fermented soybeans known for their viscous consistency and definitive taste! Japanese hospitality, known as omotenashi, is in a league of its own. And you can find the best example of Japanese hospitality in a ryokan. Take the check-in process, for example. Upon arrival, the ryokan staff will ask when you would like dinner and breakfast. Then, they will show you to your room and give you a tour if necessary. And at some point, either in the lobby or in your room, they will serve you tea with traditional Japanese sweets called wagashi (和菓子). Japanese hospitality is something you need to experience. Japanese ryokan don’t have gyms or spas. Instead, they have onsen. Onsen (温泉), or public hot spring baths, are one of the main attractions of a ryokan. These waters come from deep below the surface and boast a multitude of health benefits. The baths are shared by all the guests and are separated by gender. Most ryokan do not allow tattoos in the public onsen. Options are available for those with tattoos or for those who are just uncomfortable being naked in front of others. A number of luxury ryokan have private onsen that are either available on a first-come, first-serve basis or can be reserved for a small fee. Alternatively, a smaller number of these premier ryokan have en-suite baths. *A note for parents traveling with young children: It is fine for parents traveling with young children to bring their kid into the bath with them, regardless of gender. 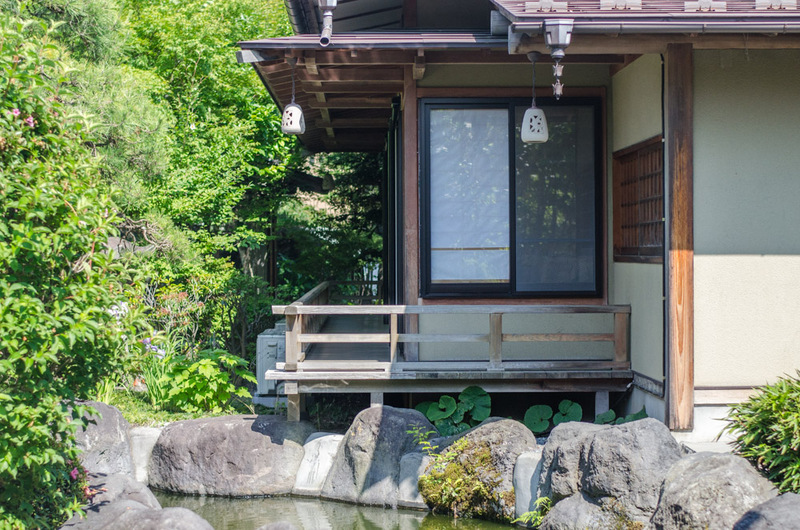 When deciding how many nights to stay at a ryokan, consider a few things: Where is the ryokan? Will it take a long time to get there? Are there a lot of things to see and do in the town? Ryokan are usually in smaller towns that have a bit of history. A week at a ryokan may be long, but one night may feel a bit rushed. For the best ryokan experience, we usually recommend two to three nights. Ryokan rates are calculated per person. Standard ones charge around JPY 15,000 per person a night, while luxury options start around JPY 25,000 per person a night. As you can see, staying at a ryokan can quickly add up and cost more than staying at Western-style hotels. This is due to a few reasons. One reason is that ryokan are family-run businesses with little-to-no help from larger organizations. Another is that stays include food, and meals are made using fresh, seasonal ingredients that are sourced locally from artisanal farmers. The best ryokan are booked out months in advance and even more for holidays and weekends. You won’t find any last-minute deals, so you should book as early as possible. You can find ryokan on international sites, but since many are mom-and-pop-owned, you’ll find many only have websites in Japanese. So, if you know Japanese or know someone who knows Japanese, try searching that way. Want more tips and advice on traveling in Japan? Sign up for the newsletter!